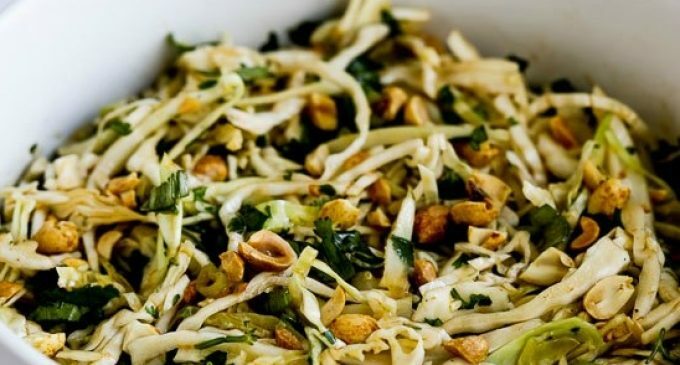 This Cilantro and Peanut Slaw Is Definitely on the Spicy Side! If You Like It Hot, You'll Love This Slaw! If you're looking for a recipe that's delicious but also suitable for a wide range of people, including those with special dietary requirements or preferences, then this spicy cilantro peanut slaw is just the thing! It's loaded with hot and spicy flavor, but is also ideal for anyone looking for vegan, low-carb, gluten-free, low-glycemic or dairy-free meal options. To learn how to make this spicy, savory cilantro peanut slaw, please continue to Page (2) for the full list of ingredients and complete cooking instructions.